The vengeful spirit of Clarenda Richardson has made her most deadly play yet, having stabbed Valen Alexas through the heart in front of a crowd of horrified guests. 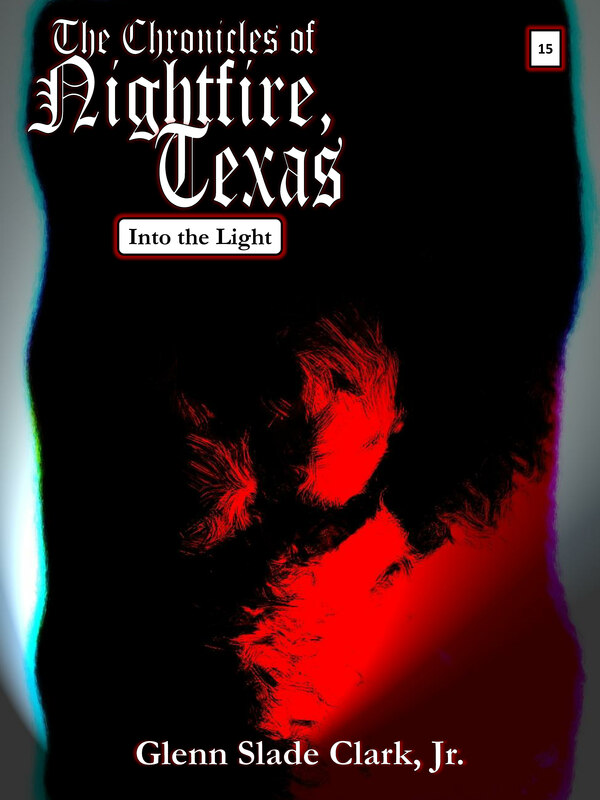 Now his secret may be exposed, as he is rushed to the hospital, where it will either be learned right away that he is anything but human, or he will be destroyed by the ignorance of that fact when the first rays of sunlight come through the hospital window at dawn. Seeing the realities of Valen’s condition, Sam recruits Bradley in a desperate attempt to prevent Valen from ever even arriving at the hospital. Meanwhile, the problem of the murderous ghost haunting Alexas Mansion still remains, and if Valen survives, he will have to face her down once and for all, in a battle of wills that will determine which of them will remain in the world of the living, and which of them must finally go into the beckoning light of the world beyond. 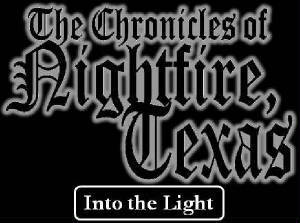 The Chronicles of Nightfire, Texas #15 "Into the Light"